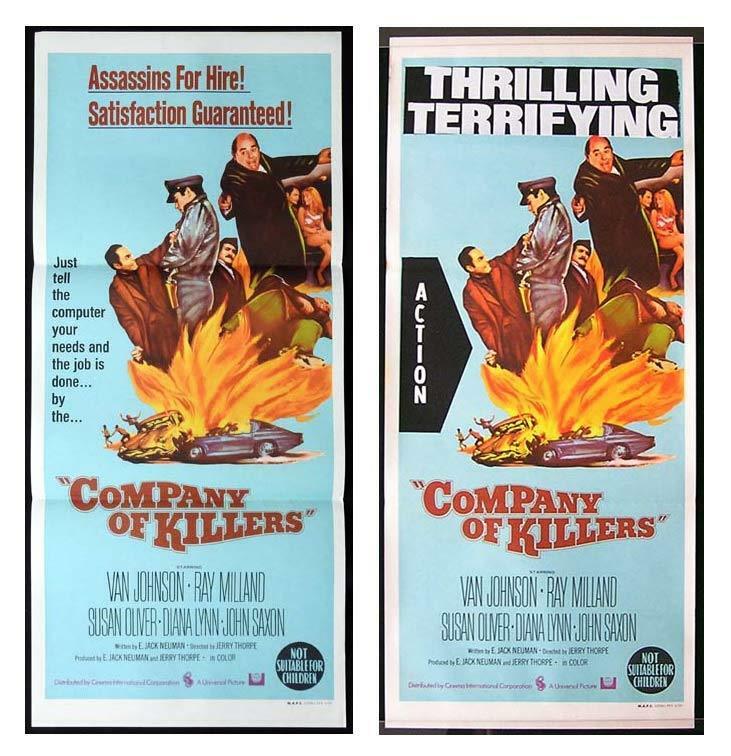 Company of Killers was a minor made for TV movie that had cinema release in Australia. For some reason, daybills that were printed for this title had to be heavily censored by stencilling over the taglines. Some uncensored daybills can still be found but one can only speculate as to why the distributors had to painstakingly censor many daybills that were sent to cinemas. It seems that the words "Assassins For Hire" worried the censors and they ordered the revisions to the daybills. A gunman working for a crime ring is hunted by both the police and his employers after a cop is murdered.